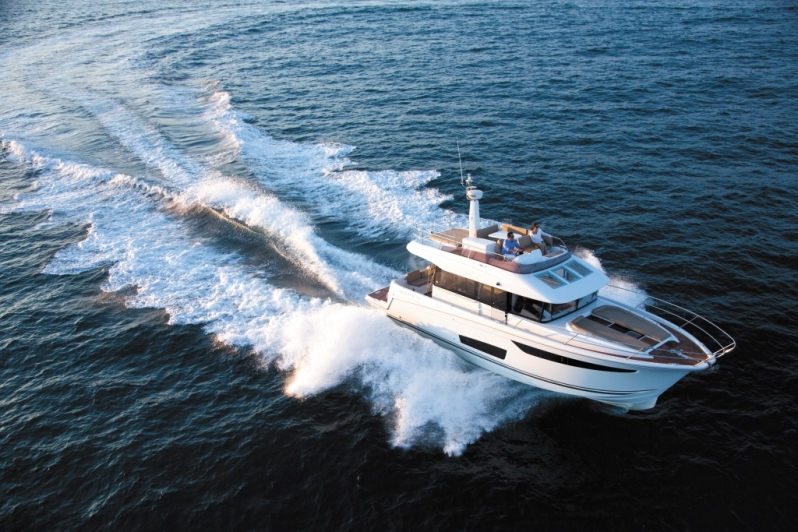 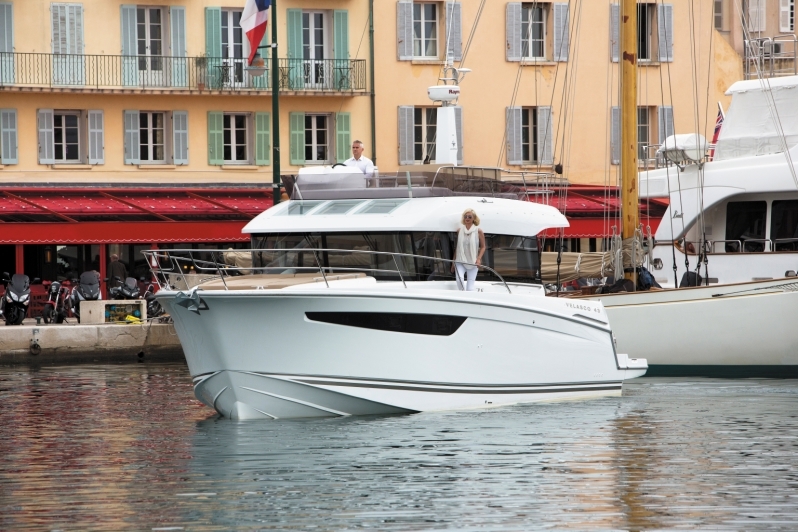 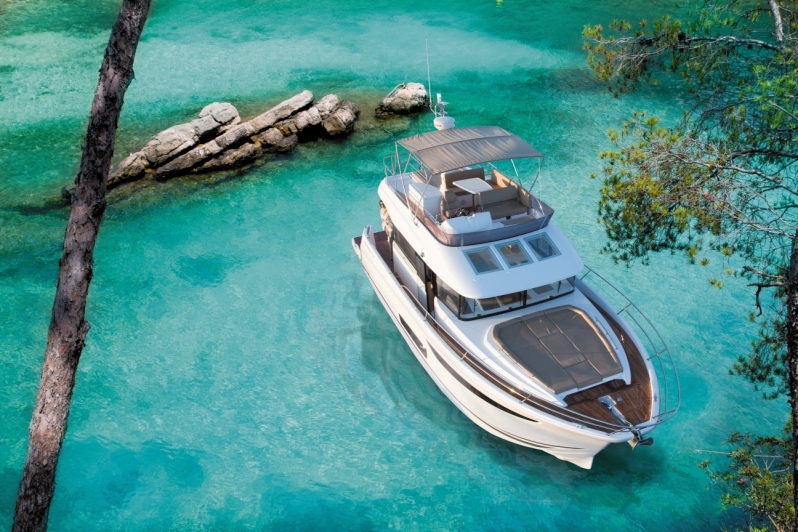 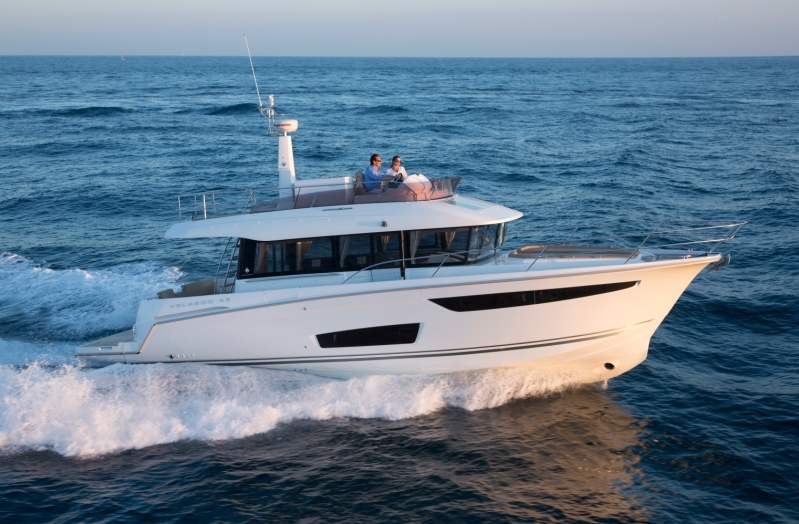 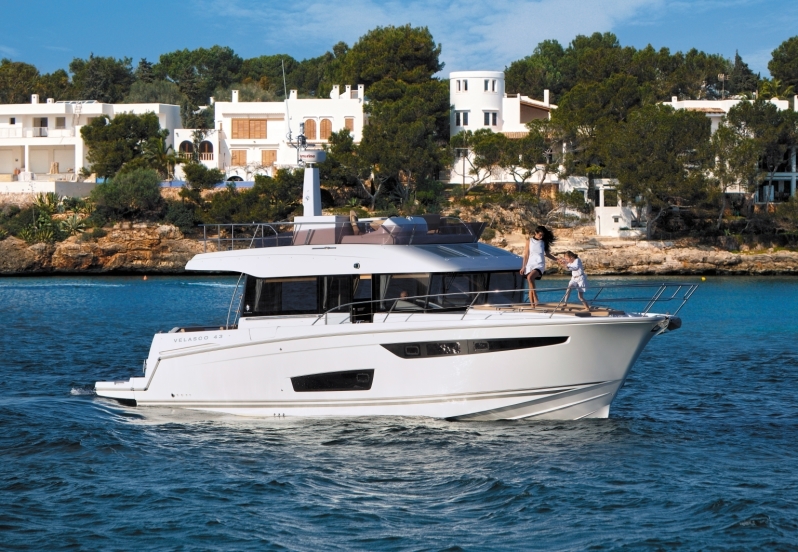 With the VELASCO 43, Jeanneau takes an innovative new direction in the world of flybridge motor yacht design. 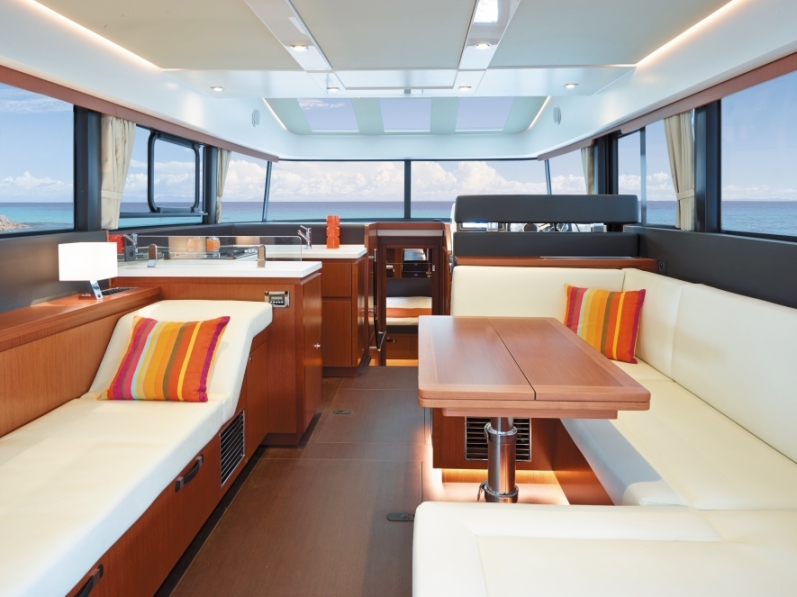 Inspired by larger yachts, the VELASCO 43 makes a strong personal statement on the exterior, paired with a contemporary style on the interior. 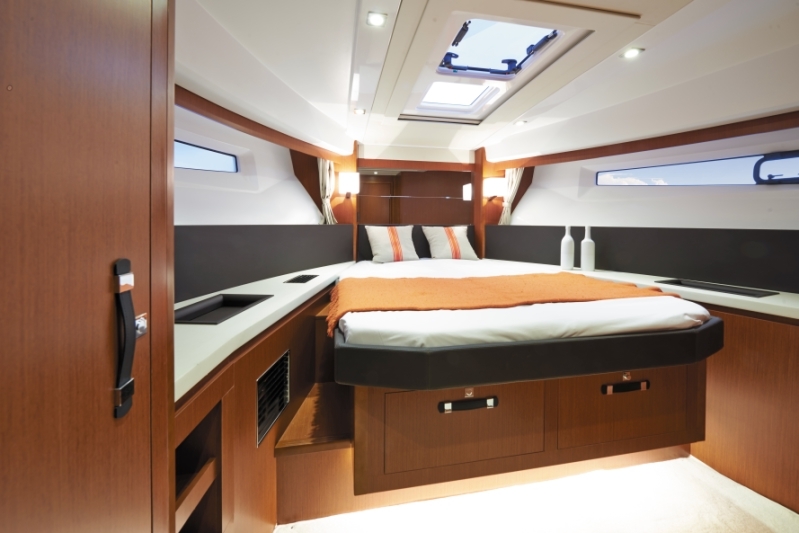 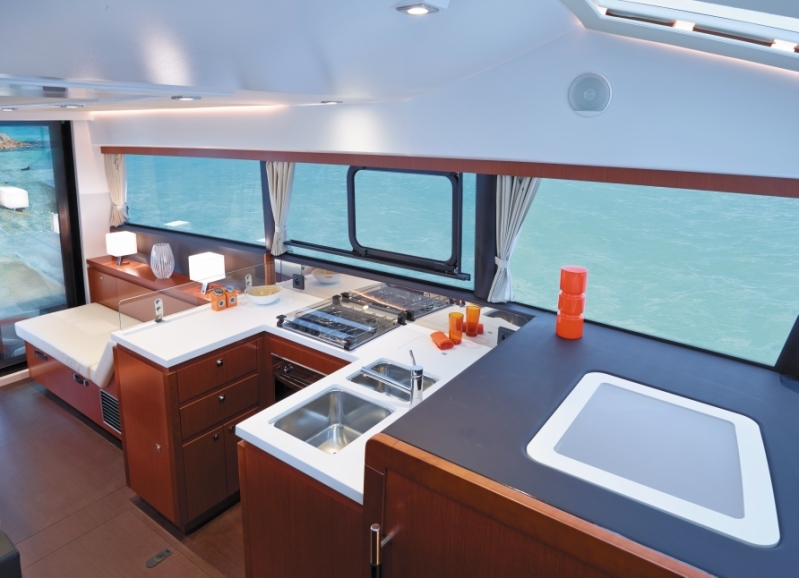 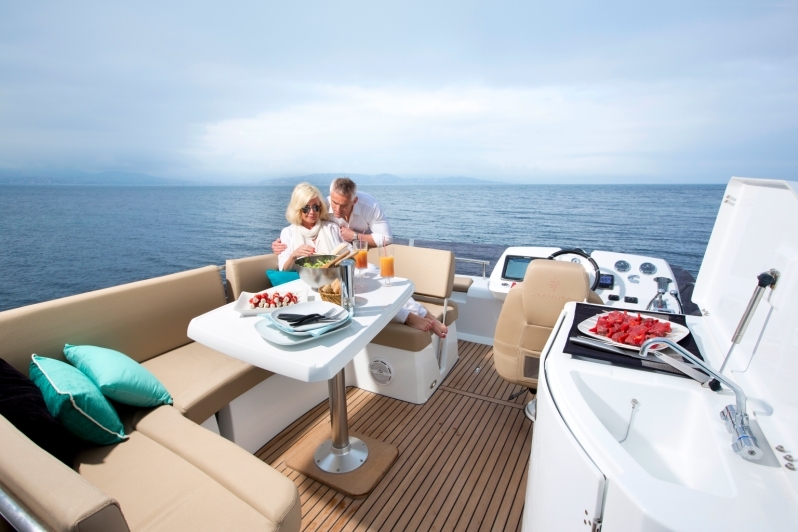 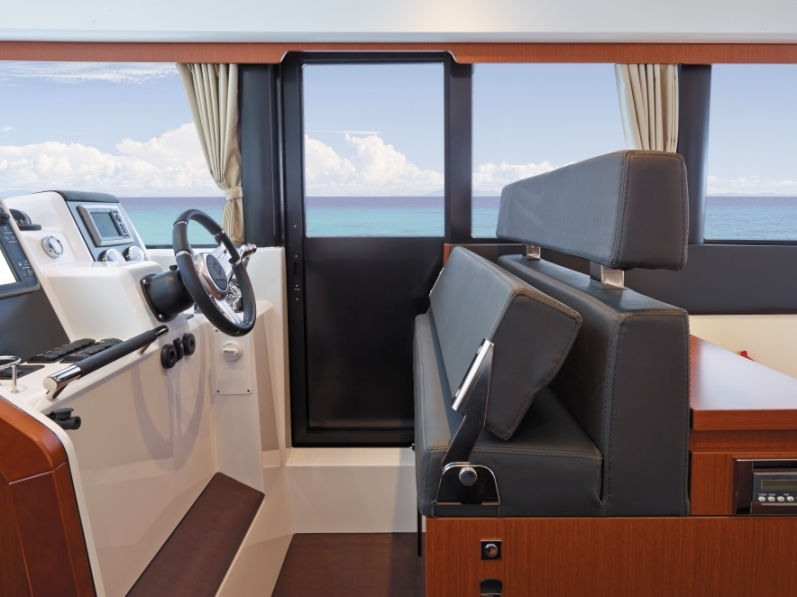 Aboard the VELASCO 43, the distribution of interior and exterior living spaces results in an unexpected, superior level of comfort, with a layout that is particularly well suited for today’s multi-generational families. 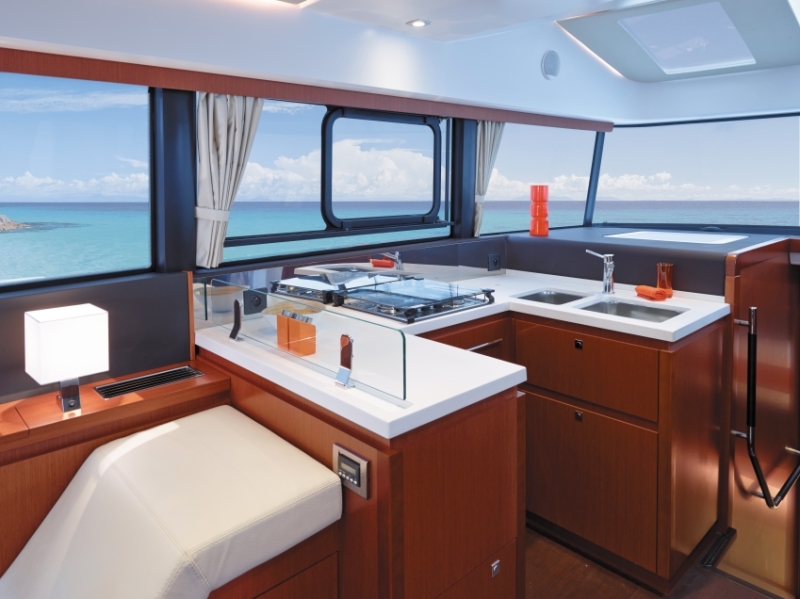 Designed for smooth, safe cruising at high speeds, the highly tapered hull of the VELASCO 43 is comfortable and efficient in all cruising conditions. 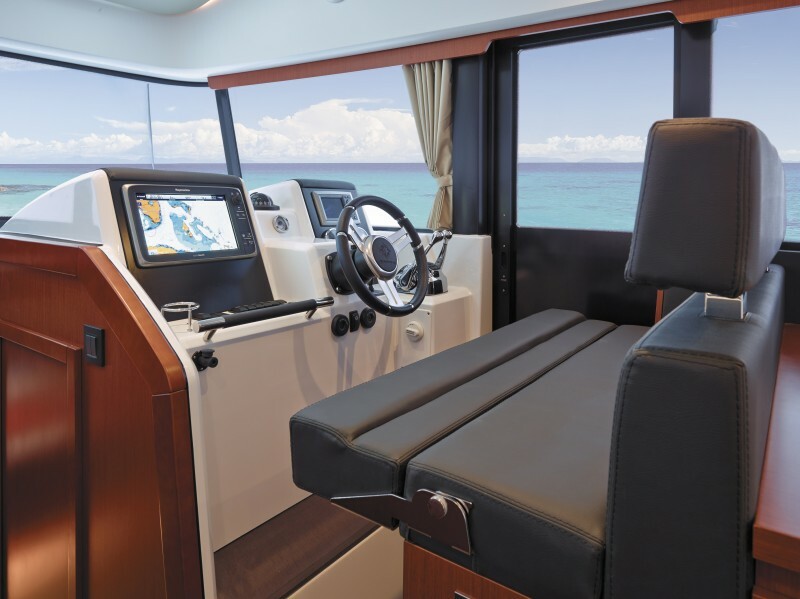 Shaft drive transmission and joystick control are the preferred technical solutions for frequent cruising and effortless manoeuvring. 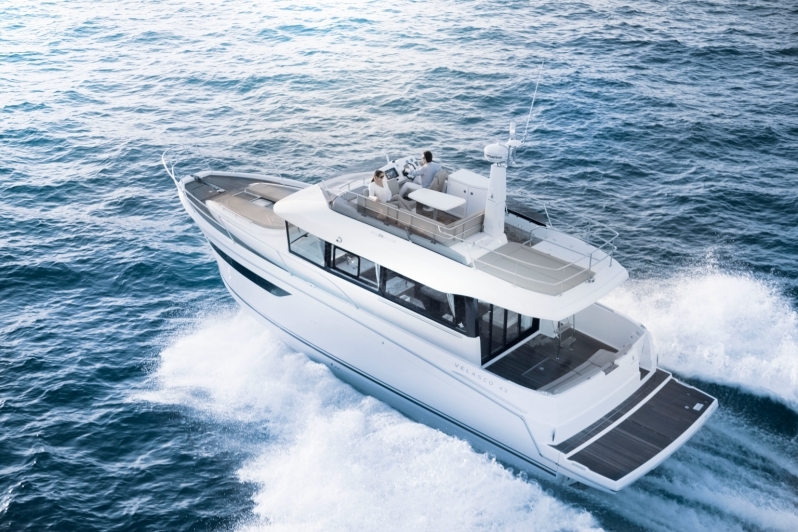 Innovative and elegant, powerful and reassuring, the VELASCO 43 unveils an all-new approach to the motor yacht, one conceptualised entirely for family cruising.